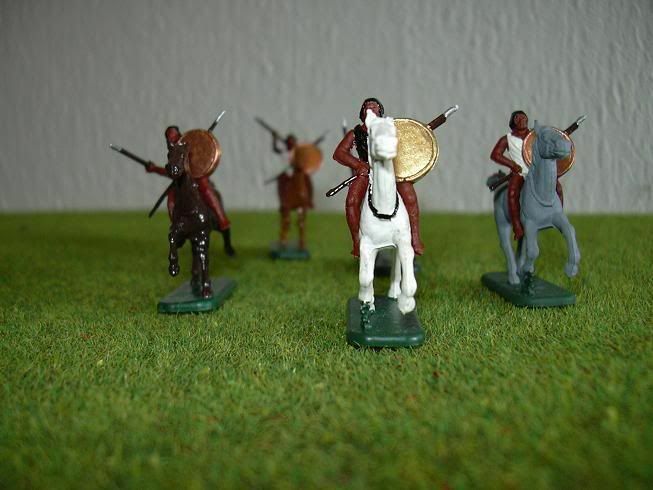 Here are some pics of my Numidian cavalry. 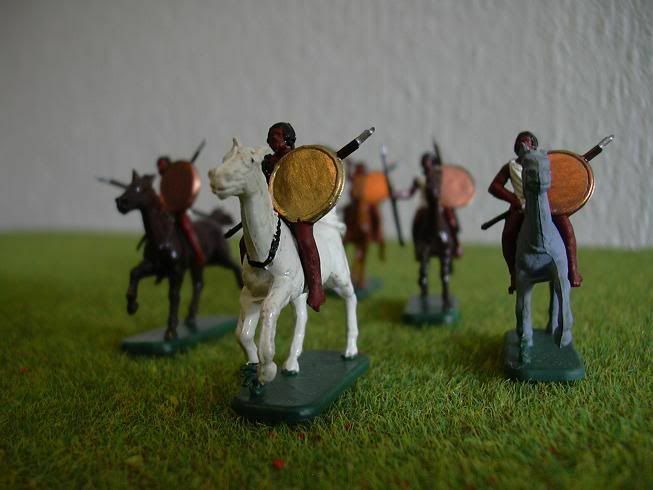 The Numidians were formidable horsemen from North-Africa. 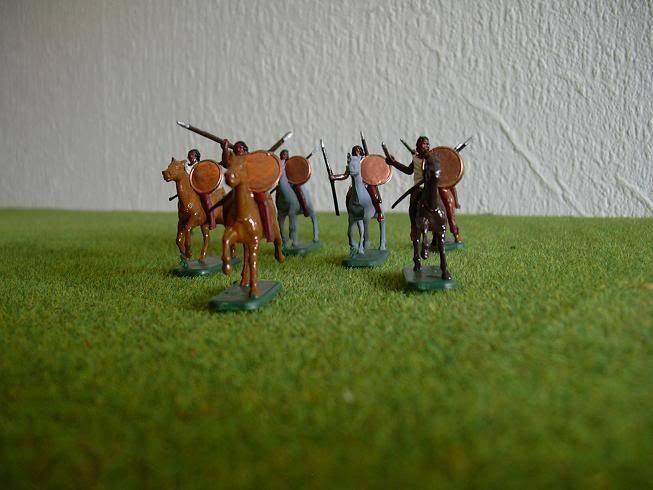 They were recruited by the Carthaginian army. 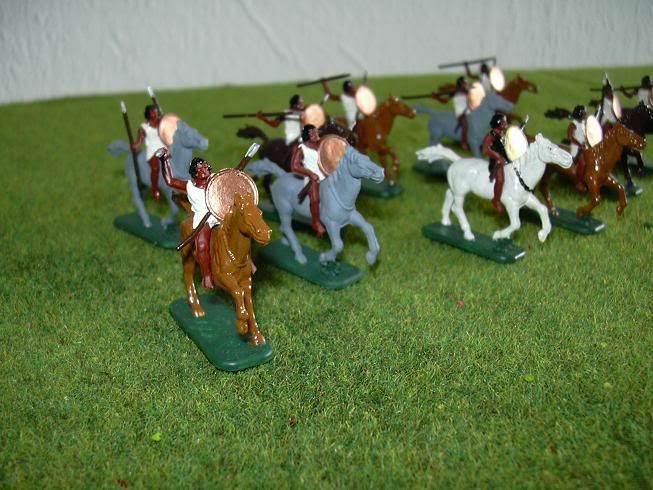 They formed the light cavalry in Hannibal's army and outfought the Roman and Italian cavalry in many battles. 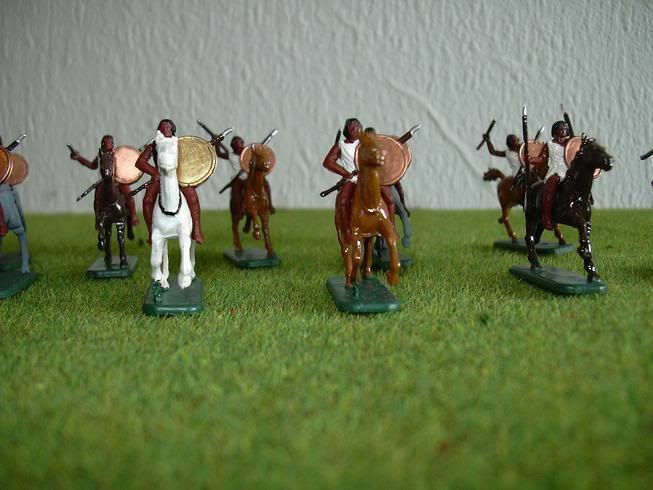 When Carthage was defeated they fought as auxiliary cavalry in Roman service. Many thanks to Mr Koopmans.